Tovino Thomas has gone onto become one of the most promising youngsters, who can carry the torch of Malayalam cinema. The star, who is having handful of movies, is part of many anticipated projects, including the Prithviraj – Mohanlal project Lucifer. Well, the star has got many interesting sol lead projects, including Kalki, And the Oscar Goes To, Kilometers and Kilometers and to name the rest. Now, we have got an important update from the star’s Kalki. The movie which would mark the directorial debut of Praveen Prabharam, seems to have got Tovino in an interesting role. The star has gone onto share the pictures of his character from the movie. The pictures suggest that he would be appearing by twirling his moustache, quite similar to the Singam style of Suriya. 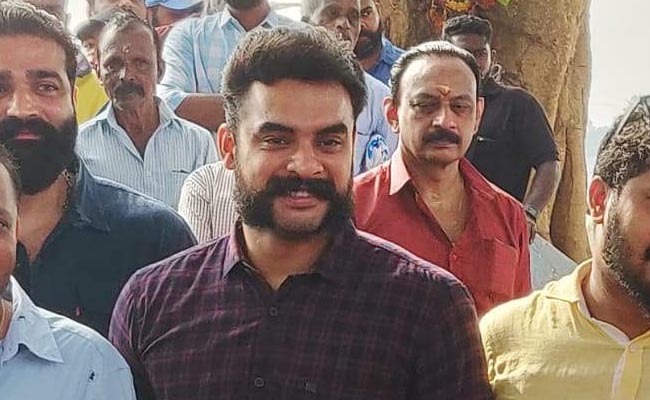 It didn’t take much a time for the pictures to become viral and the social media seems to be loving the new look of Tovino. Penned by Sujin Sujathan and Praveen, Kalki has Tovino appearing as a police official.